Last October an odd-looking pitcher with a truly incongruous beard helped the San Francisco Giants beat my Texas Rangers in the World Series. 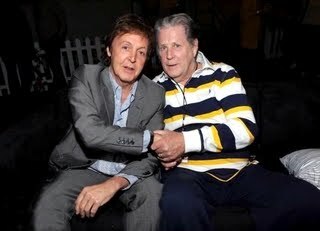 We do not celebrate the birthday of that Brian Wilson today. Not that he hasn't had goofy facial hair in the past. But he's much better now. 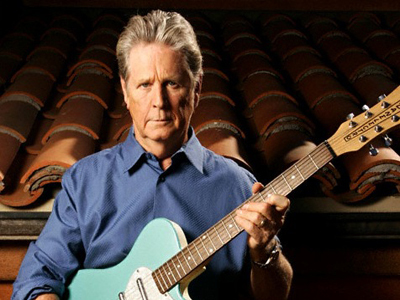 Happy Birthday to Brian Wilson, forever Beach Boy and certifiable genius. Like Paul McCartney, Brian is 69. What are the odds that two of pop music's greatest songwriters would be born just two days apart? If the United States offered knighthoods, they'd both have one. ﻿Since I thoroughly enjoyed an unexpected Saturday afternoon to myself immsersed in Paul McCartney tunes, it seems only fair that today I do the same for Mr. Wilson. Except that I don't have the afternoon to myself, because today has the bad taste to be Monday. But I'll treat myself to a double-play of Pet Sounds and Smile, and maybe enjoy this video. Happy Birthday, Brian. God only knows what I'd be without you.